"Bank notes in each denomination has a distinct dimension." Minister of State for Finance Arjun Ram Meghwal said in a written reply to a question in the Rajya Sabha. 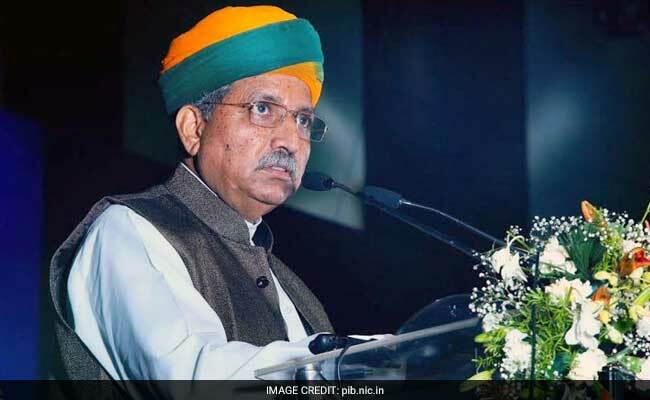 Arjun Ram Meghwal said the new 500 and 2,000 rupee notes have single unique dimension. New Delhi: The government today asserted that the new 500 and 2,000 rupee notes have single unique dimension, a statement that came on a day when opposition parties led by the Congress stalled proceedings in the Rajya Sabha alleging that notes having different sizes. Opposition Congress, supported by the TMC and the JD(U), today forced adjournment of the proceedings in the Rajya Sabha over what it called as the "biggest scam of this century" in the printing of two different sizes for the new currencies. However, Finance Minister Arun Jaitley said the opposition party has been raising "frivolous" issues without giving notices to stall Zero Hour proceedings. In a separate reply, Mr Meghwal said that National Crime Records Bureau data indicates that the incidents of Fake Indian Currency Notes (FICN) have been reported in some parts of the country. However, examination of the specific parameters reveals that the notes are of low quality. "No high quality counterfeit new currency notes have been seized by any agency so far," Mr Meghwal said.